Thank you so much for your interest in the Surviving Early Childhood Summit interviews! I originally ran the Surviving Early Childhood summit in February 2016 to help moms of toddlers and preschoolers get the information they needed to survive that really challenging time in their parenting journey. 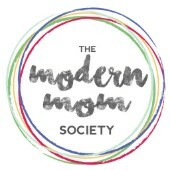 I’m sharing it with you here for free to say thanks for checking out The Modern Mom Society and for being a part of my tribe! Click the speaker images below to listen to the interviews from the Surviving Early Childhood experts as well as links to their free gifts!